H-bridge is an electronic circuit which allow you to reverse the flow of electron in either direction. The main purpose is to send some command(s) such as : forward / backward / left or right from banana pi to arduino mega. 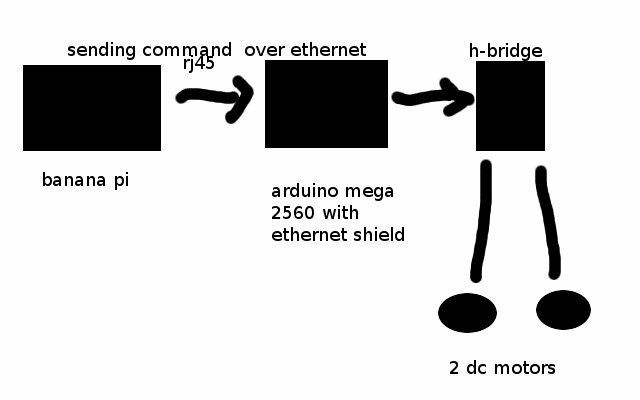 Then arduino mega will receives the command over ethernet and apply the suitable voltage over it’s pin(s) for h-bridge. The h-bridge then will apply suitable load for those 2 motor dc(s). Communication Between Arduino and Banana PI or Raspberry PI or beagle bone to arduino can be accomplished using several method(s) such as using logic level converter (https://www.sparkfun.com/products/12009) or cape (for beagle bone) or maybe you can use arduino wifi shield and plug some wireless usb adapter to credit card size board. Within this example, we’ll be using ethernet to communicate between arduino and banana pi. Why use ethernet shield ? the programming will be easier, what you need is a knowledge on socket programming. Before making h-bridge circuit, plug the ethernet shield to arduino mega. So the pin(s) will be plugged on the ethernet shield. Once you have done everything correctly, we can control h-bridge circuit using banana pi. Now, from banana pi terminal, we can send some command(s) to make our 2 motor dc(s) move forward, backward, left or right. 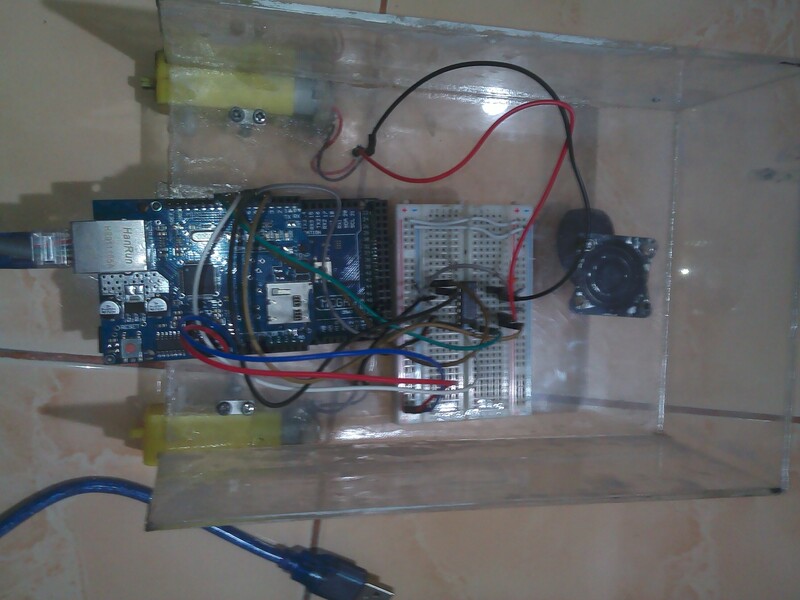 This entry was posted in Arduino, Arduino Mega 2560, Banana PI, H-Bridge, Hardware Hacking, Raspberry PI on May 11, 2015 by sw0rdm4n.